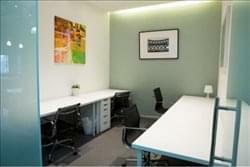 Find My Workspace lists over 95% of the serviced offices market in Cecil Street. Simply click Request Quote to check pricing for one office, or Add to Basket for multiple offices. This centre a nice furnished work-space that offers a lot of amenities. You have a kitchen if you want a hot tea, coffee or some snacks. You can also make use of the photocopier, printer and scanner. Furthermore you can enjoy a cold beer or wine and unwind on the Sky Terrace after work if you are a co-working member. If you require any additional services such as dry cleaning collection, food delivery etc. that aren’t listed here, just drop them a line to organise. They hold a number of business networking events and social activities for members at their spaces so you can meet your fellow coworkers. To obtain information for your selected Cecil Street Serviced Offices, please tick the "Add to basket" box for each office you prefer and complete the form below. We will then send a detailed report via email.